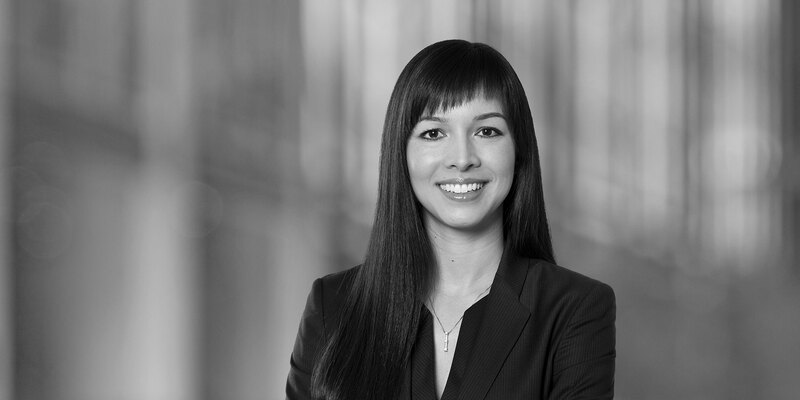 Vanessa Schürmann is a partner in White & Case's banking and finance practice, specializing in leveraged and bank/bond financings (including high yield), acquisition finance, corporate loans, and syndications. In addition, she has a broad range of experience with margin loans, fund financings (including subscription facilities), real estate finance (including commercial mortgage backed securities transactions), securitizations, loan portfolio sales, restructurings and derivatives in connection with debt financings. She advises banks and other financial institutions, private equity investors and corporates in respect of complex cross-border finance transactions. 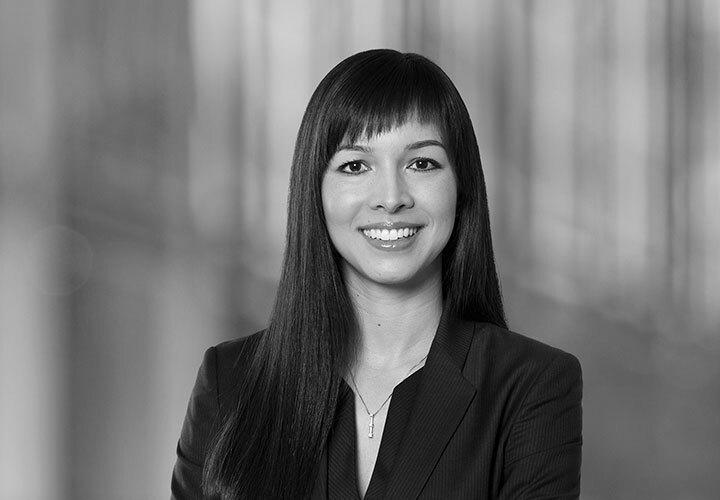 Before joining White & Case in 2014, she practiced for almost ten years at another international law firm both in their Frankfurt and London offices. Furthermore, Vanessa Schürmann worked in the leveraged and acquisition finance team for a leading international bank in London for one year. Advised a bank syndicate led by Deutsche Bank AG, London Branch, HSBC Bank plc and UniCredit Bank AG as mandated lead arrangers and bookrunners and Commerzbank Aktiengesellschaft and DZ Bank AG Deutsche Zentral-Genossenschaftsbank, Frankfurt am Main and Santander Consumer Bank AG as mandated lead arrangers in connection with the €780 million refinancing of Cheplapharm Arzneimittel GmbH’s loan and Schuldschein facilities. The refinancing consisted of an institutional Term Loan B and a revolving credit facility. Advised a bank syndicate led by BNP Paribas Fortis S.A./N.V., Deutsche Bank AG, DNB Markets as part of DNB Bank ASA and UniCredit Bank AG in connection with the amendment, increase and extension of CHF 1.61 billion loan facilities for the Sunrise Communications AG Group. Advised Consolidated Energy Finance S.A., a financing subsidiary of Switzerland-based leading international methanol and fertilizer manufacturer Consolidated Energy Limited AG in connection with a $600 million US-style Term Loan B and a $225 million revolving credit facility as well as the issuance of $400 million 6.50% Fixed Rate Notes due 2026 and $125 million Floating Rate Notes due 2022. Advised the lender syndicate on the upsizing of Leadec's term loan facility by an additional €102.5 million. Leadec is one of the leading providers of technical services for the manufacturing industry. Advised the arrangers in connection with the cross-border refinancing of the APCOA Parking Group in a total amount of €435 million and advised the arrangers in connection with the subsequent repricing and increase of the term loan B (total new financing volume of €465 million). The refinancing consists of an institutional term loan B, a revolving credit facility and a guarantee facility. Advised the lenders on a bank/bond financing involving a €40 million revolving credit facility alongside the issuance of €350 million 5.375% senior secured notes due 2022 for the Löwen Play group. Löwen Play is one of the largest arcade operators in Germany in the gaming, sports and other amusement machines industry. Advised private equity investor Triton on the financing of the WernerCo acquisition, a Switzerland-based fully integrated international manufacturer and distributor of ladders, secure storage systems and light duty construction equipment. Shortly after completion of the WernerCo acquisition, advised WernerCo on the financing of an add-on acquisition. The add-on acquisition consisted of ZARGES Group (ZARGES), a German-based leading manufacturer and distributor of aluminium ladders and boxes for three main business sectors: Professional Access – Packaging, Transportation, and Storage – Special Construction. Advised the bank consortium on the post-IPO financing of Befesa S.A. The financing with a total volume of €636 million consists of an institutional term loan B, a revolving credit facility and a guarantee facility. Advised a group of banks on the refinancing and upsize of German-based shipping company Hapag-Lloyd’s revolving credit facility from US$ 125 million to US$ 145 million provided by Credit Suisse AG, London Branch, Crédit Agricole Corporate and Investment Bank, Deutsche Bank Luxembourg S.A., Goldman Sachs Bank USA and HSH Nordbank AG. Advised arrangers Credit Suisse, Deutsche Bank and Goldman Sachs on the €450 million refinancing of leading wood panel manufacturer Pfleiderer. The new financing consists of a 7-year covenant-lite institutional term loan B with a volume of €350 million as well as a credit facility with a maximum term of 5 years and a volume of €100 million. Advised BNP Paribas Fortis SA/NV, Commerzbank Aktiengesellschaft, Deutsche Bank AG, London Branch, The Royal Bank of Scotland plc and UniCredit Bank AG as Mandated Lead Arrangers in a €610 million credit facility to finance the acquisition by private equity investor One Equity Partners Europe GmbH of SGB-SMIT Beteiligungs GmbH, the German-based largest independent, pure-play manufacturer of power transformers. Advised Swiss holding company Proman Holding AG, a majority shareholder in one of the world's largest methanol and other petrochemical producers on the issuance of CHF 200 million 3.50% Swiss bonds due 2022 and a €250 million credit facility consisting of a revolving credit facility and a term loan B facility.